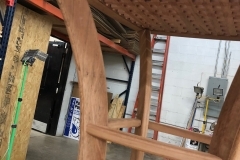 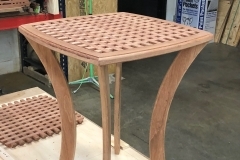 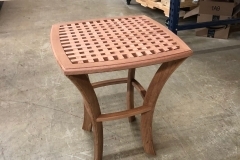 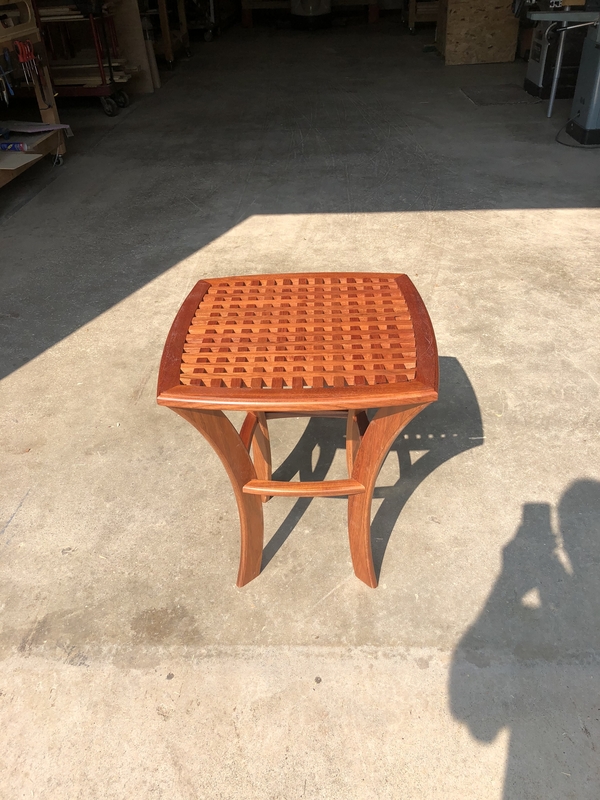 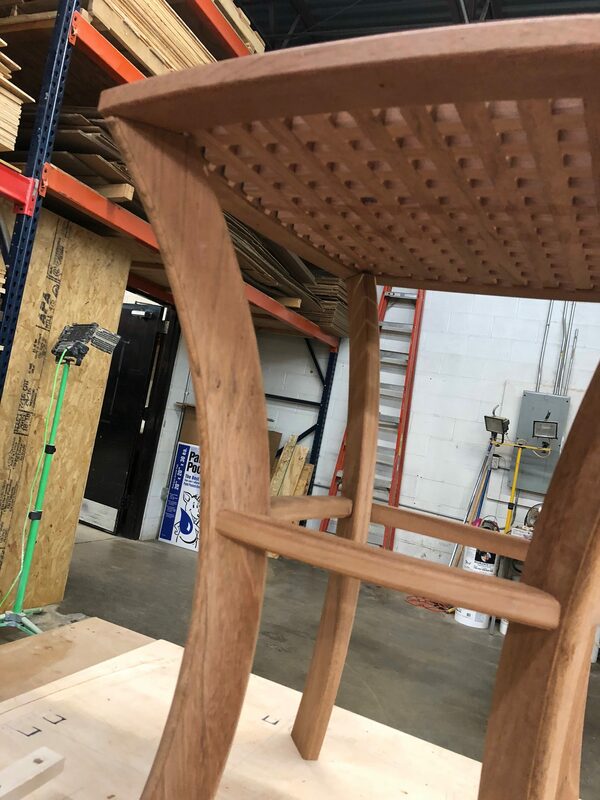 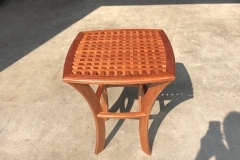 My original plan was to build 2 end tables for use on our covered deck and ended up building very difficult to build Brazilian Cherry tables that are too nice to put outside. 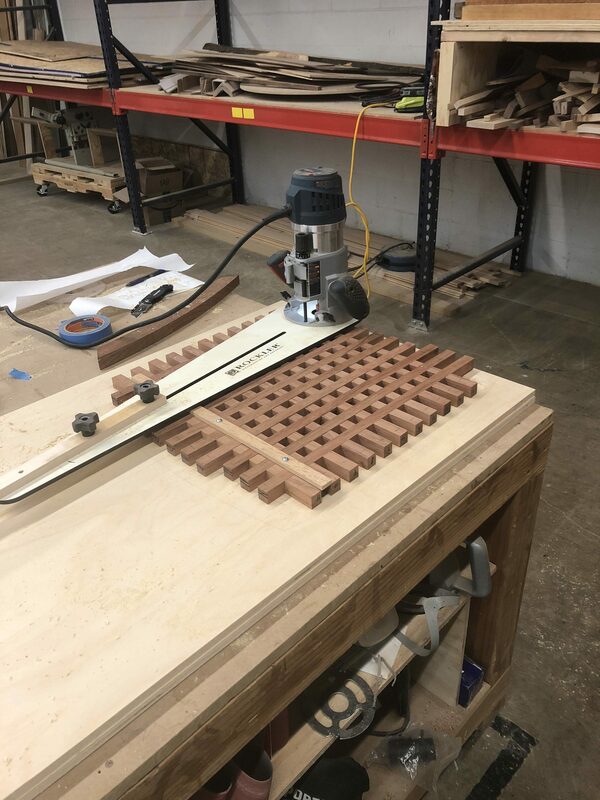 Working with the Brazilain Cherry is both rewarding and challenging. 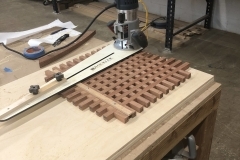 It’s incredibly hard and has a tendency to tear-out when routing. 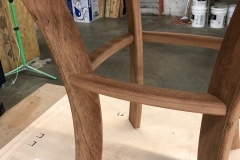 On the positive side, the wood is beautiful with straight grain and cuts nicely. 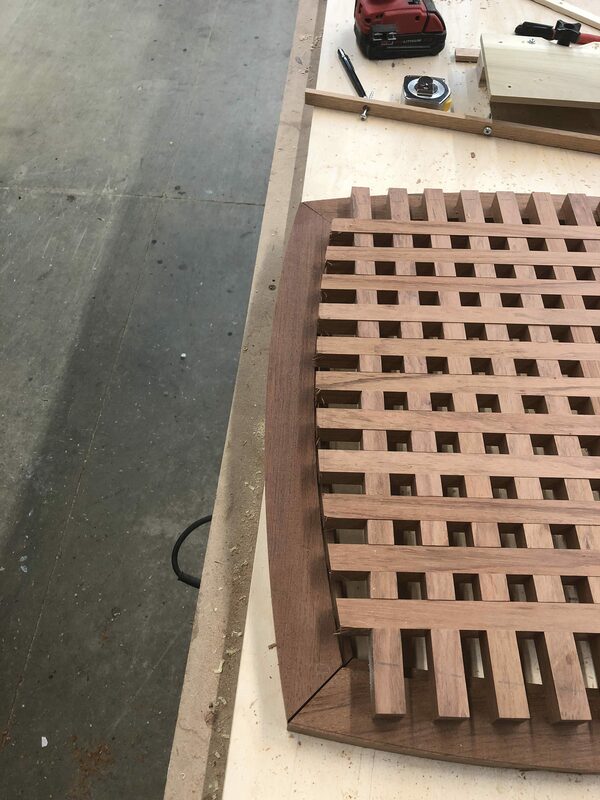 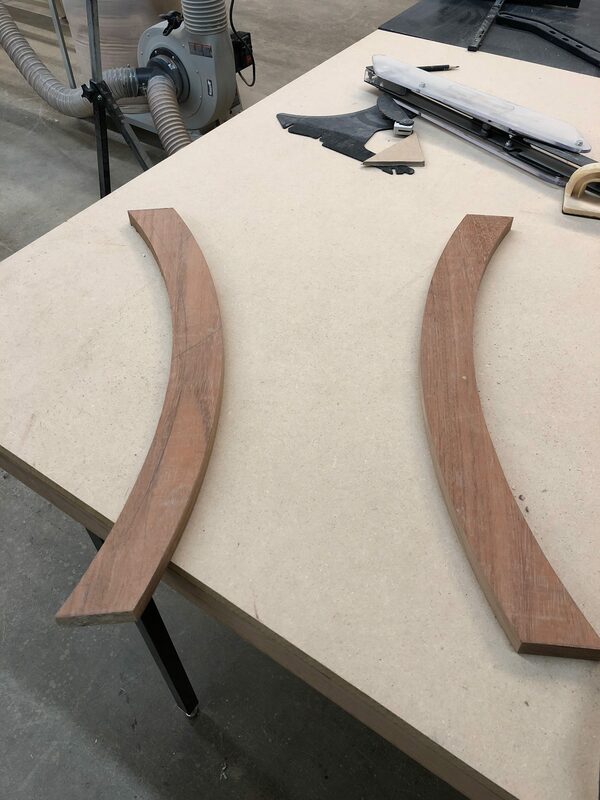 The tabletop sides have a beautiful curvature (inside and outside edges) that required a long arcing jig to hold the router. 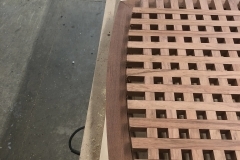 The very tedious process was worth the effort creating the very uniform sides. 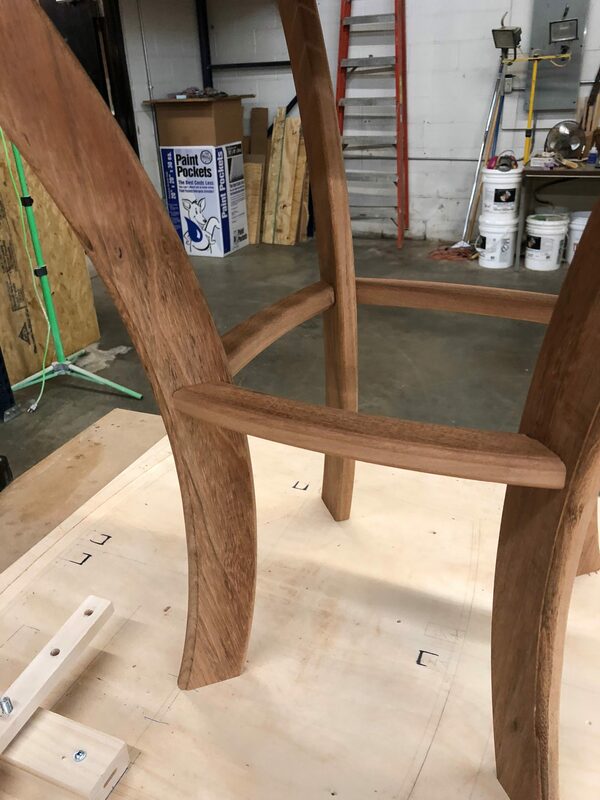 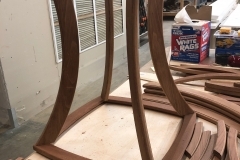 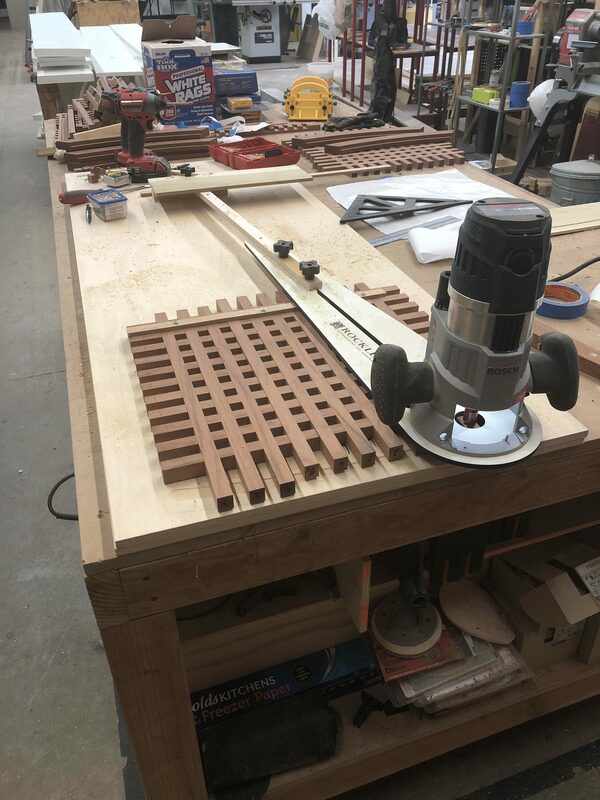 Once I had the top curved sides routed, I had to make a special jig to cut accurate 45-degree corners which became a challenge without having any straight edges. 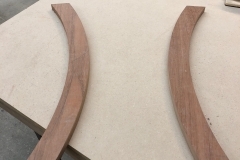 If I had it to do over again I would cut the 45-degree angles before I routed the curvature in the pieces. 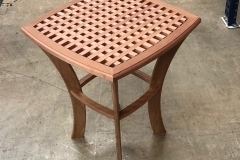 The “lap-joint” tabletop pieces were also a challenge. 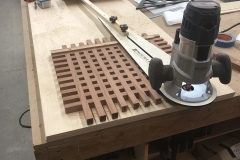 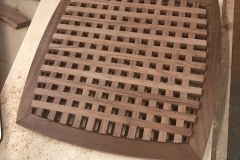 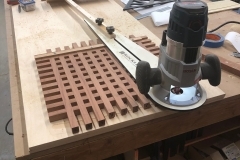 The cuts were made using a dado blade. 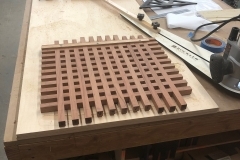 The challenge was to create uniform spacing and a uniform depth. 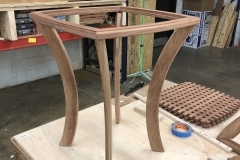 It was also a challenge to rip the pieces accurately enough so as to keep tight-fitting joints. 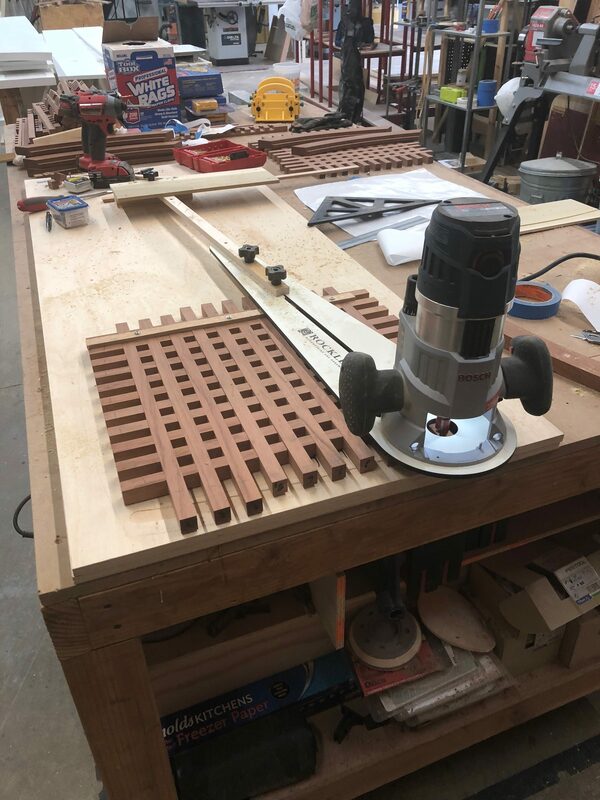 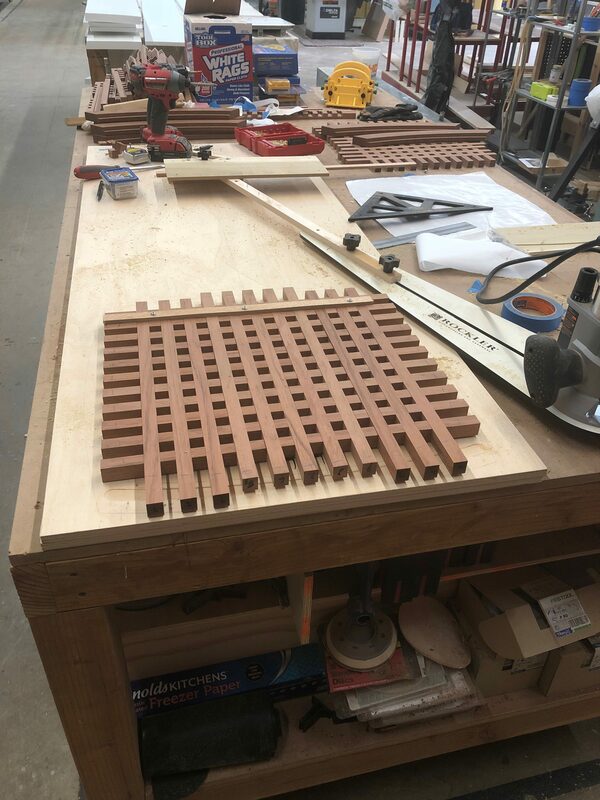 Each board has 11 dado cuts. 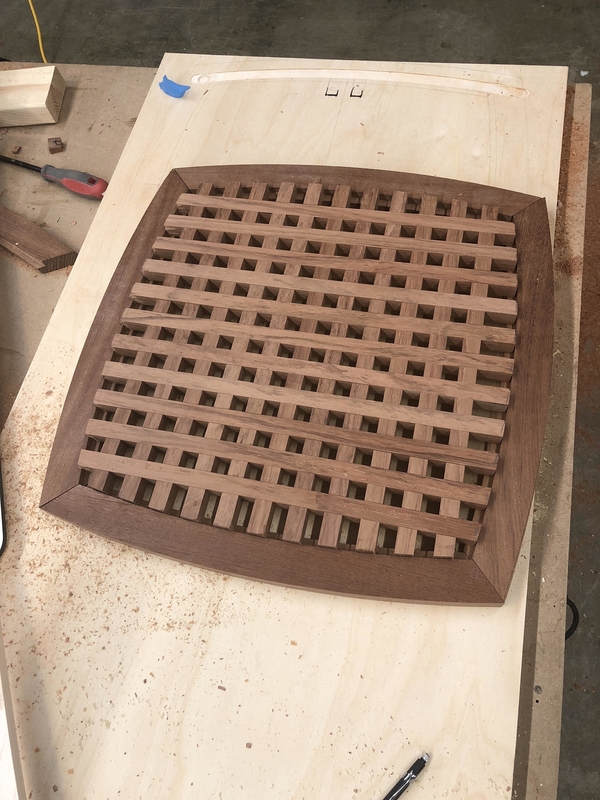 I have to admit, the first set I cut was a failure. 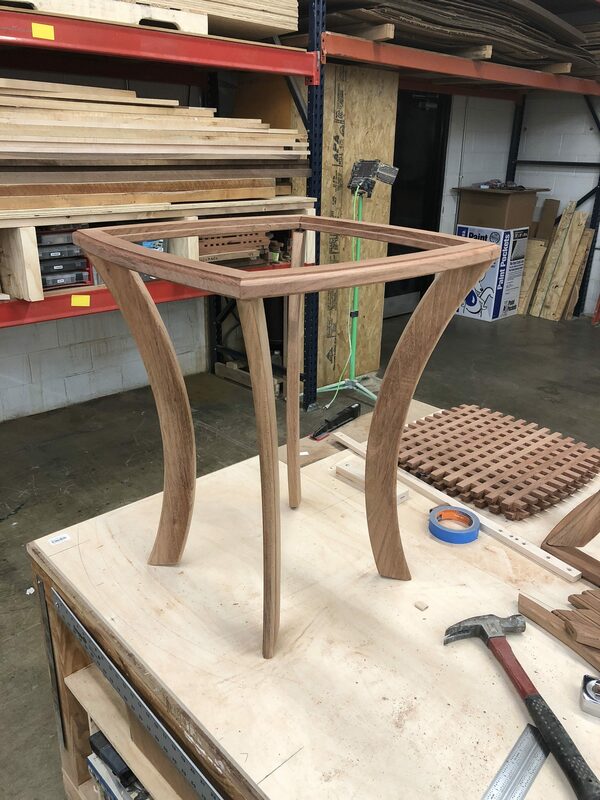 It wasn’t until I improved my technique that I produced usable pieces. 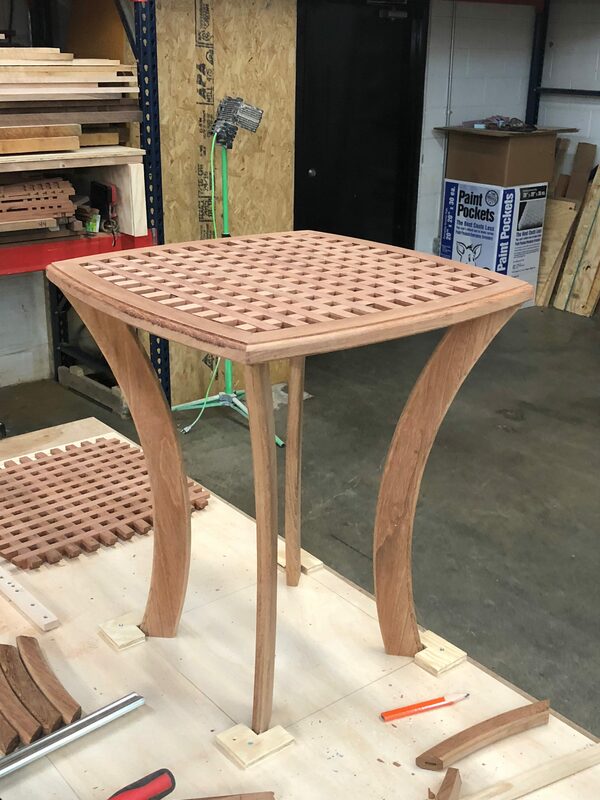 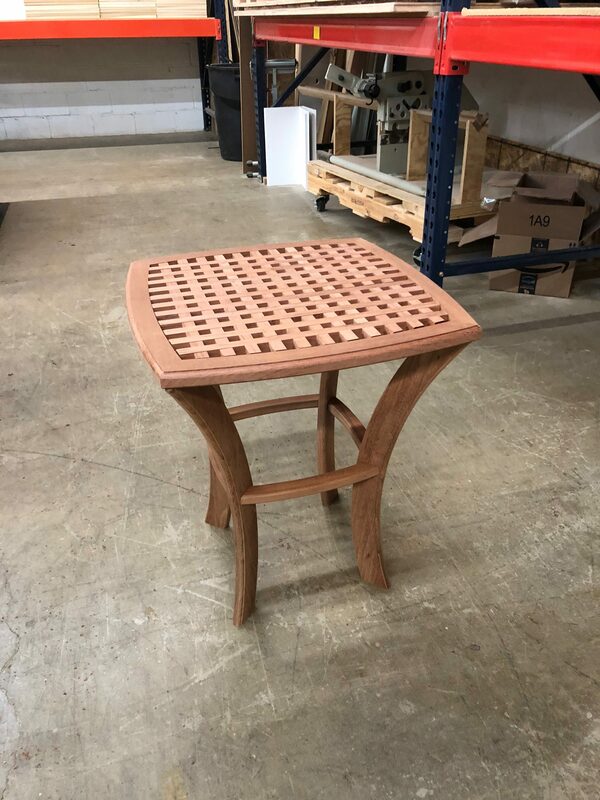 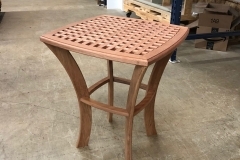 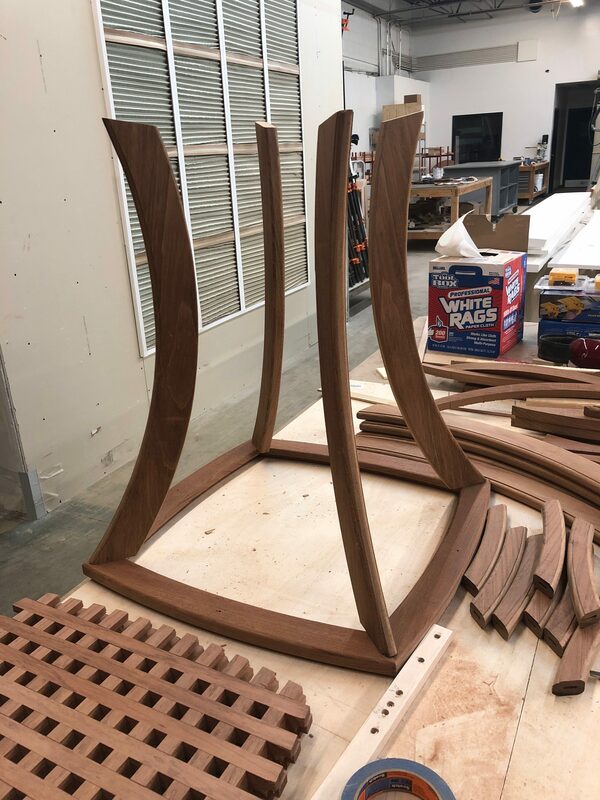 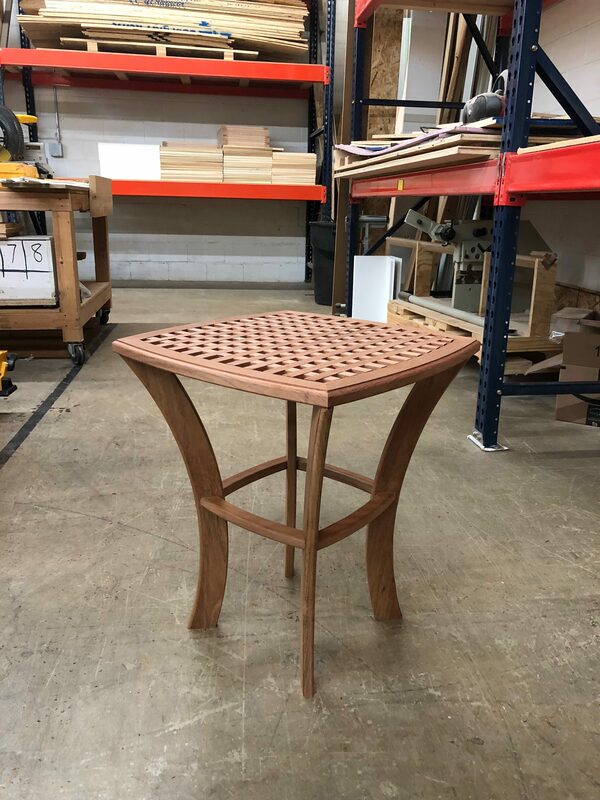 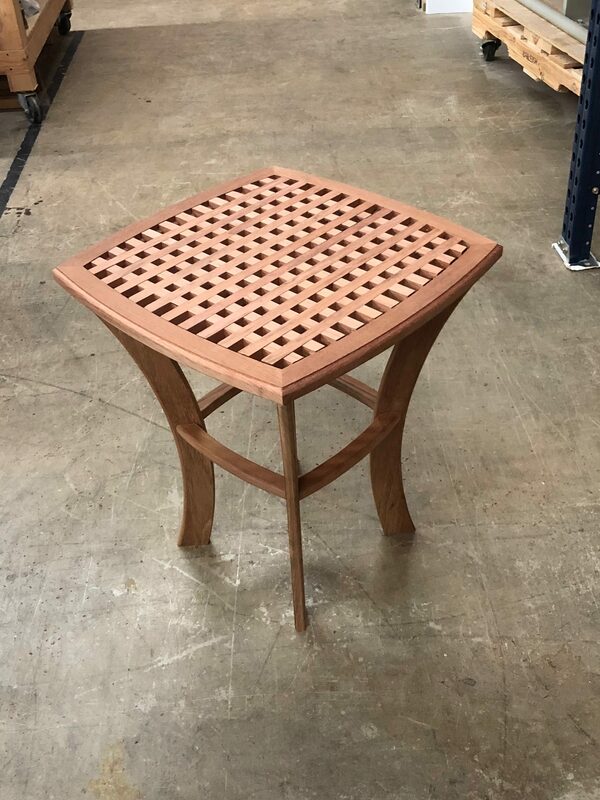 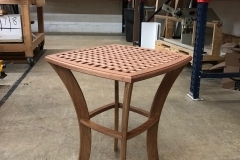 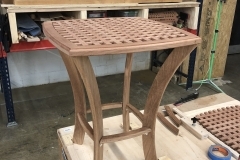 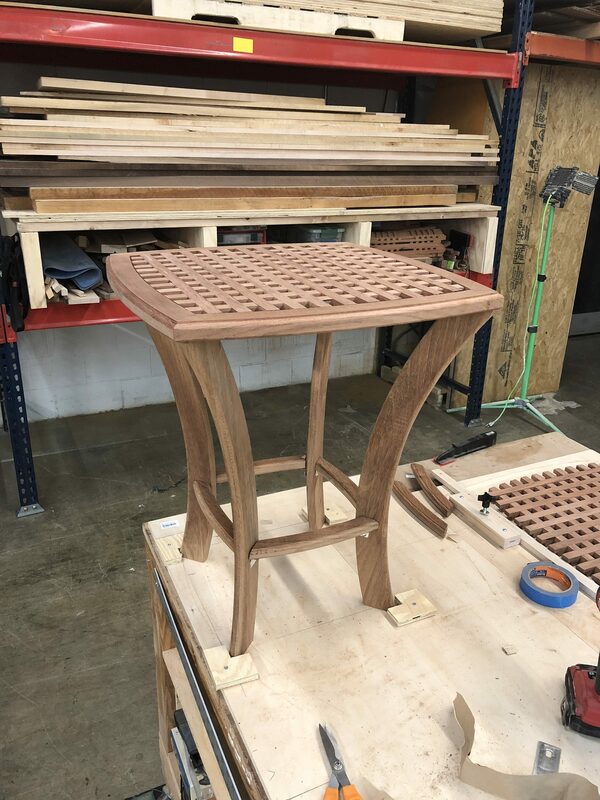 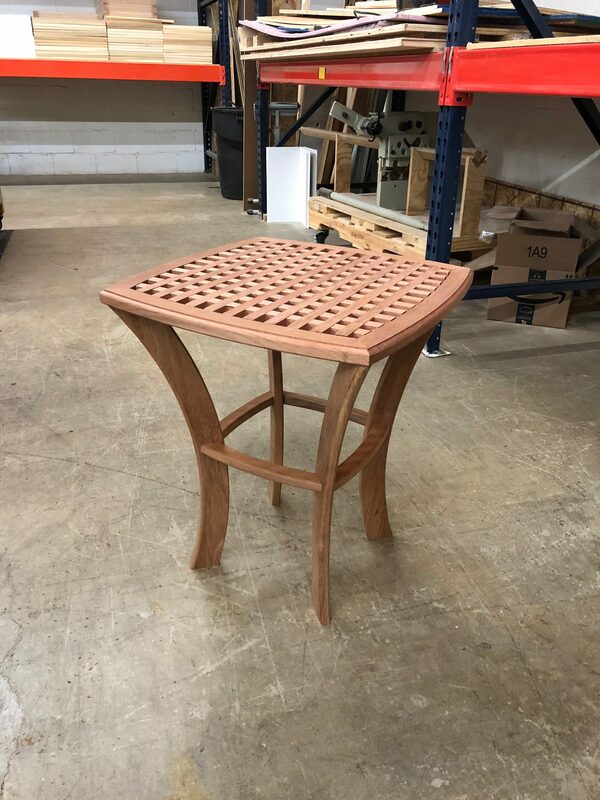 The cured top and legs provide a look of elegance, and although it was an extremely difficult project, the end result was worth it.